Due to court dockets being overwhelmed in California due to constant celebrity divorces, the Golden State is considering altering its marital laws to make it easier for actors and actresses, musicians, socialites and other members of the rich and famous to exit a marriage. Under new legislation being considered, for an additional filing fee and an exit fee, wealthy Californians will be allowed to “rent” a relationship. Instead of getting married to someone else, they and their partner will be allowed to rent each other for a specific amount of time. Carillo said the rental law would also apply to gay marriage, especially if any gay married couples are marrying for convenience or aren’t sure if the relationship will last. “Why should heterosexuals be the only ones allowed to rent?” he asked. The Kardashian Lease: For any famous-for-being-famous celebrity who wishes to salvage their short, unremarkable reality tv show career through a short-term rental. One month up to one year are available. The Kardashian sisters. Ponderings From Pluto has no idea how many marriages or divorces they’ve had. The Kutcher Lease: For young celebrities who are still trying to reach A-list status and wish to do so by spending five years renting a famous, more established celebrity. This type of option is certain to have a butterfly effect. Ashton Kutcher used to be Mr. Demi Moore. The Twain Rental: For any celebrity who wishes to further their career by recovering from an unceremonious end of a relationship where the celebrity’s spouse sleeps with the celebrity’s best friend; the celebrity would then no longer want to stand by her man, since any man of hers would never do such a thing. Available in five, 10 and 15-year rentals. Carillo expects this to be commonly used in the country music world and says the law may even be altered to be used in Tennessee. The Landon Lease: For any celebrity who wishes to further their career with a family-friendly image, which requires a long-term relationship. Ten, 20 and 30-year rentals are available. 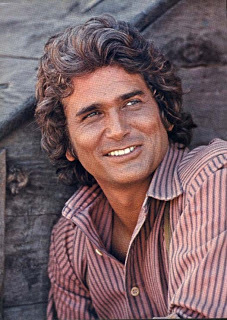 Michael Landon, who made many family-friendly programs, also was married three times and divorced twice. Carillo says if the new laws are approved, they could become available by 2014. Post comments here or e-mail them to ponderingsfrompluto@gmail.com. This entry was posted on Wednesday, February 13th, 2013 at 7:20 pm and is filed under Uncategorized. You can follow any responses to this entry through the RSS 2.0 feed. You can leave a response, or trackback from your own site.